The sustenance of ecosystem is dependent on two major processes namely energy flow and the nutrient cycling. The orderly step by step transfer of energy from one trophic level to another or in other words from producers to decomposers is called Energy flow. Energy flow is always unidirectional and non- cyclic. Some amount of energy is lost at each trophic level either as heat, or used for metabolism, excretion and decomposition. Study area: Trophic efficiencies at the various trophic levels in two lakes; lake Mendota, Minnesota and Cedar Bog lake. 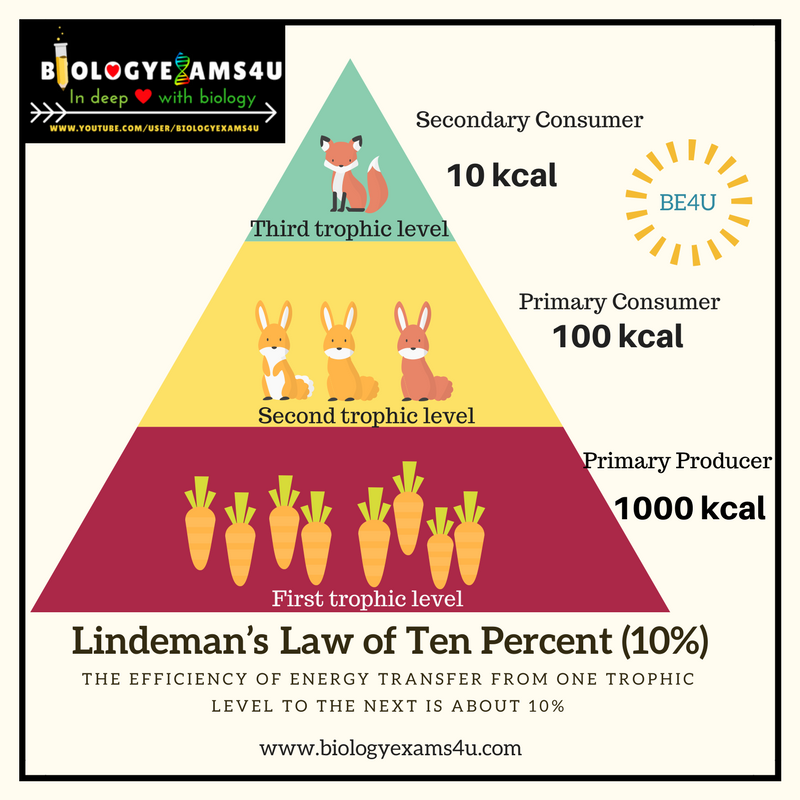 According to Lindeman’s Law of 10%, the efficiency of energy transfer from one trophic level to the next is about 10%. Only 10% of the net primary productivity of producers ends up as herbivores and so on to the next trophic levels. Many recent studies suggests that the generalization of trophic efficiency to 10% may not be always true. Trophic efficiency vary greatly and primarily depend on the behavior and physiology of the organisms concerned than on their position in a food web or a food chain.